Innovative technology. Committed employees. Superior customer service. Best-in-class processes. Thousands of companies make these claims every day. 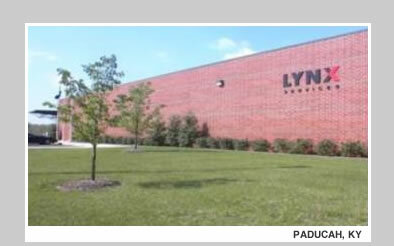 At LYNX Services, we offer the transparency to prove it. Through a unique combination of these four elements, we've led the U.S. Property and Casualty Insurance industry in claims servicing operations since 1994. Every year, we manage millions of customer contact transactions through our two state-of-the-art national customer service center facilities located in Fort Myers, Florida and Paducah, Kentucky. We are the nation's largest third-party administrator of insurance claims and specialized call center/business process outsourcing services. We provide a customized management process that drives consistent quality outcomes. That's why leading insurers have chosen to partner with us for the administration of auto glass, auto physical damage, first notice of loss and property/homeowners' claims transactions. These insurers trust us to manage the policyholder experience, as well as optimize administrative expenses and indemnity costs. Our vast experience within the P&C insurance industry and related ecosystem has immediate applications in any organization that depends on growing and maintaining superior customer service relationships. We also offer specialized call center and business process outsourcing, delivering consistent and superior services, fully aligned with client-specific requirements. 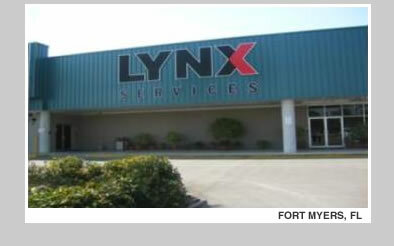 LYNX Services is a wholly owned subsidiary of Solera Holdings, Inc. (Solera). Solera is a leading global provider of software and services to the automobile insurance claims processing and decision support industries. Solera is active in over 65 countries across six continents. The Solera companies include: Audatex in the United States, Canada, and in more than 45 additional countries; LYNX Services in the United States, Informex in Belgium and Greece; Sidexa in France; ABZ and Market Scan in the Netherlands; HPI and CarWeb in the United Kingdom; Hollander serving the North American recycling market; AUTOonline providing salvage disposition in a number of European and Latin American countries; IMS providing medical review services in North America; Explore providing data and analytics to United States property and casualty insurers; and Service Repair Solutions, a joint venture with Welsh, Carson, Anderson & Stowe, that provides solutions for the service, maintenance and repair market. For more information, please refer to Solera's website at http://www.solerainc.com.